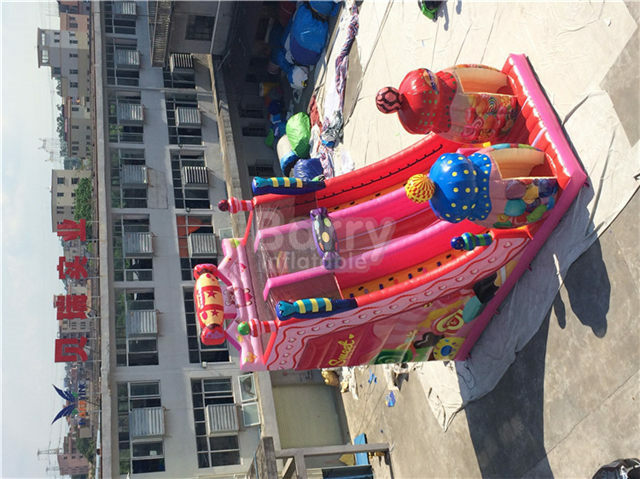 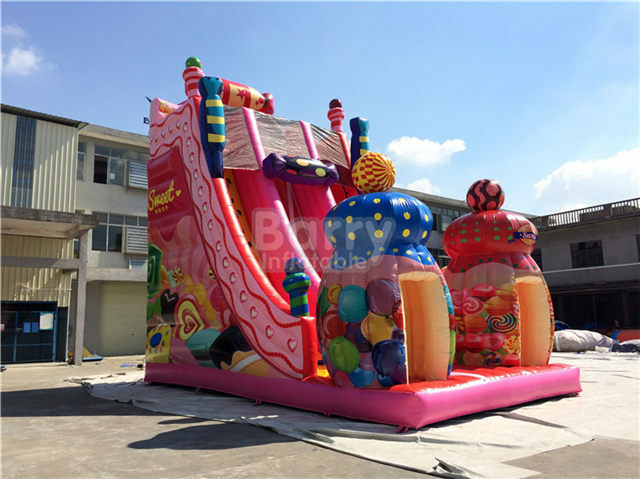 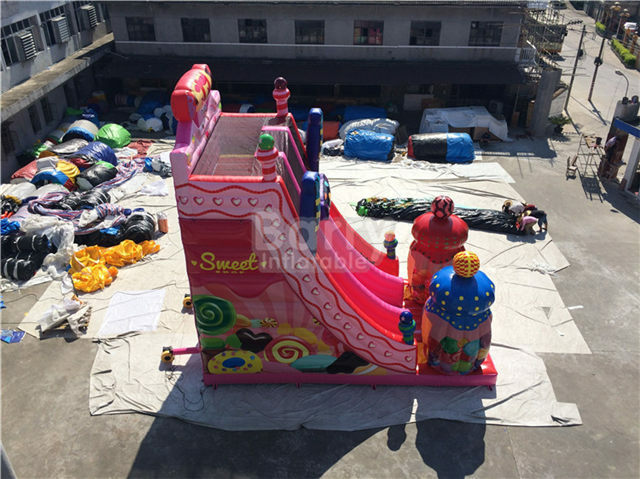 Products - Inflatable Dry Slide - Barry Manufacturer New Product Pink Candy Girl's Inflatable Slide For Party BY-DS-104 - Guangzhou Barry Industrial Co., Ltd.
You can have one lane, two lanes or simply up and over – ANYTHING IS POSSIBLE. 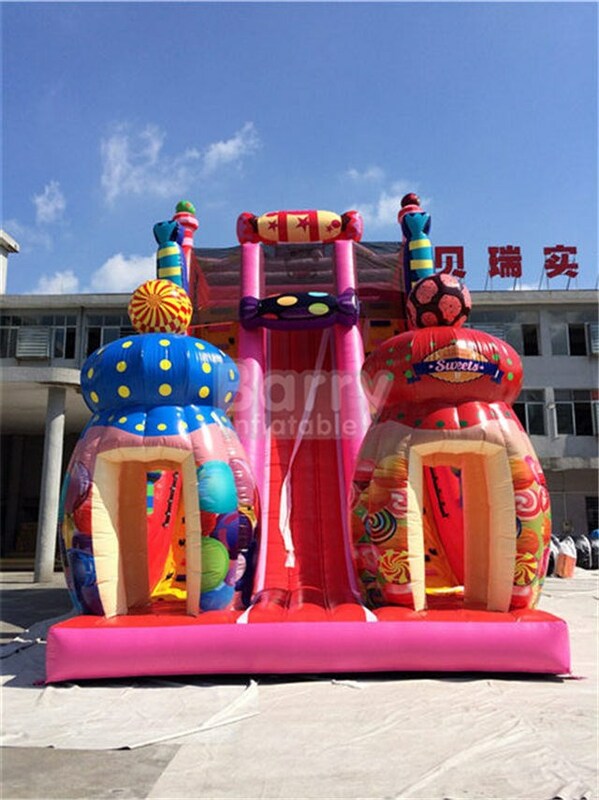 We can create a slide in the shape of an animal slide,princess slide,cartoon slide,jungle slide ,ect. 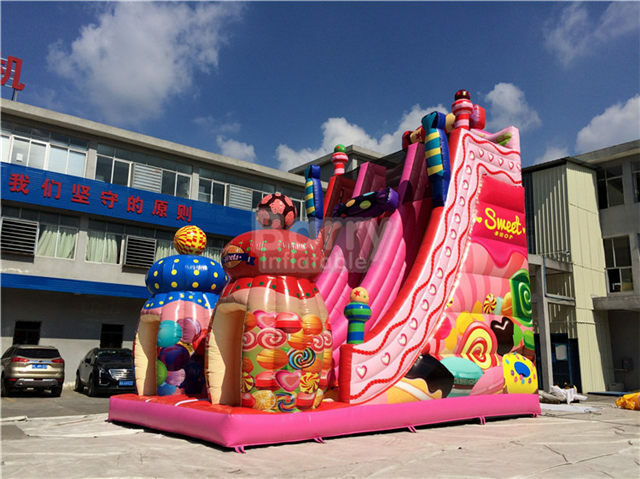 We always use at least two rows of stitching on all of seams.But some seams just need a little extra,especially on high-stress areas like a bounce house’s mattress. 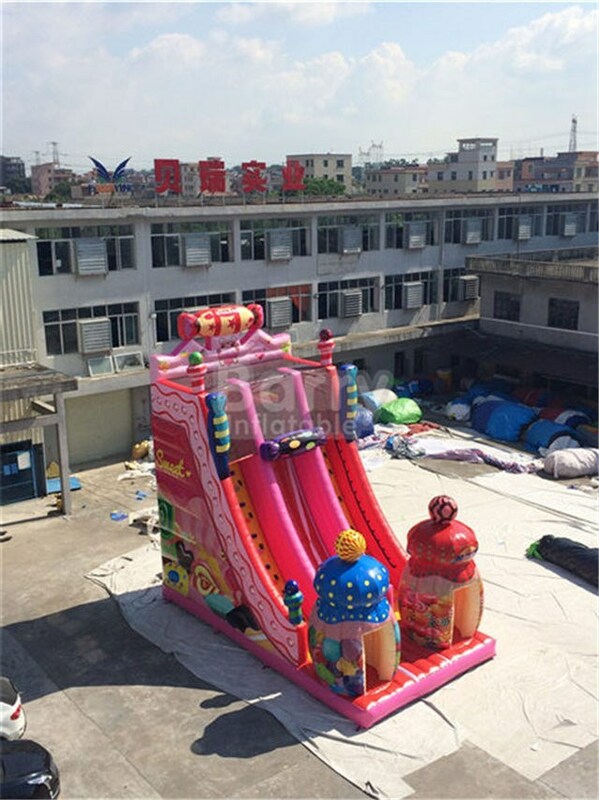 Think of those kids jumping up and down,up and down,up and you get the picture. 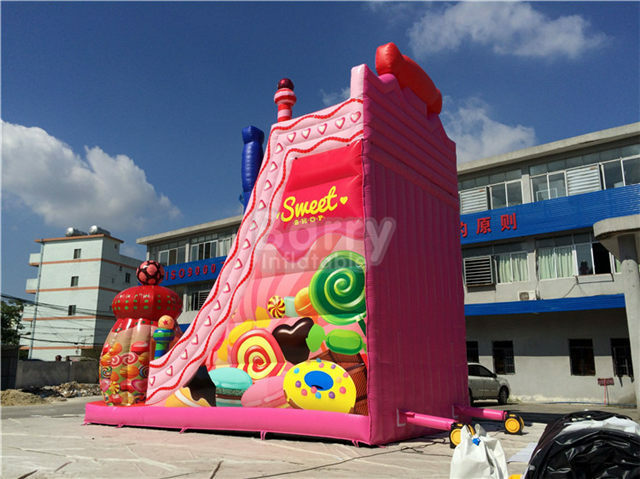 That’s why we insist on reinforcing each and every one of those critical mattress seams by using a seam reinforcement strip that bridges the seam,thus eliminating the stress.